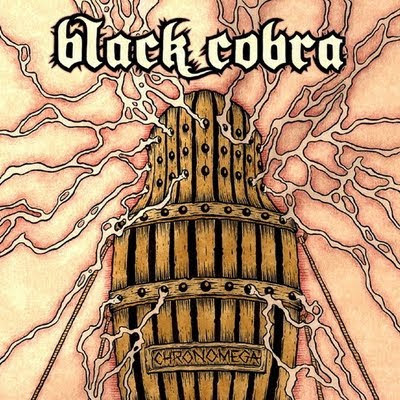 Letters From A Tapehead: Shopping For Records #24: Southern Lord Vinyl Subscription & Black Cobra's "Chronomega"
Shopping For Records #24: Southern Lord Vinyl Subscription & Black Cobra's "Chronomega"
It's really happening. The music industry's mostly written them off, writers signaled the oncoming demise and now labels are accommodating the prediction. The compact disc is in the process of being tossed like a mini-frisbee from the "optional format" column. Vinyl, somehow, has regained its footing during the information age, which is certainly cause for celebration. With CDs though having been such a paramount presence in the music industry since the early to mid-80s, labels, especially independent ones, are trying to find ways to capitalize on the changing tide. Southern Lord is offering a subscription series. For one payment, you receive seven vinyl copies of popular, (relatively speaking), Southern Lord releases. Most of these exclusive releases will feature tracks unavailable on the digital versions and all will be 180 gram specialty vinyl with unique color and design. Black Cobra's Chronomega, which came out around Fall of last year, is the first to be issued for subscribers. The seventh album is, apparently, a surprise. In the meantime, in addition to Black Cobra's vinyl release of Chronomega, the band (Acid King's Rafa Martinez and former Cavity, Jason Landrian), will be touring extensively for SXSW and with High On Fire later in this Spring.